WASHINGTON — This may come as no surprise to anyone who has been stuck in traffic on Interstate 66, Interstate 95 or the Capital Beltway. 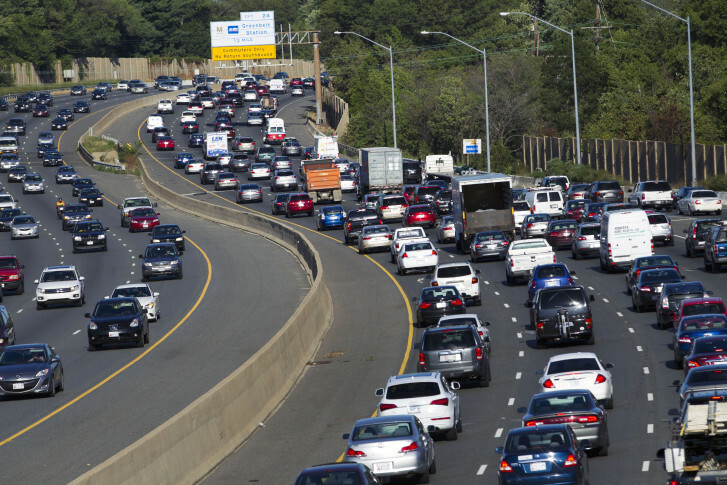 The Washington, D.C. area has the worst traffic gridlock in the United States. Now, there’s a report to prove it. Researchers at Texas A&M’s Transportation Institute, and INRIX, a data technology company, have released their 2015 Urban Mobility Scorecard. The scorecard ranks cities based on traffic statistics, including “congested travel,” also known as gridlock. The report shows that D.C. auto commuters waste more time and more fuel in traffic delays than commuters elsewhere. “Washington, D.C. once again tops the list,” says Bill Eisele, senior research engineer and co-author of the report. The researchers estimate that the daily auto commuter in the D.C. area suffered through a total of 82 hours of delays in 2014, compared to 80 for Los Angeles commuters, 78 for those in San Francisco and 74 for New York City commuters. “In 2014, the average commuter in Washington, D.C. wasted 35 gallons of gas while stuck in congestion,” Eisele says. “All of this congestion is extremely costly … about $1,800 wasted in time and fuel, per each D.C. commuter, in 2014,” says Eisele. The study also found that D.C.-area traffic is so intense, the chances of a commuter being on time to work are slim, unless he or she builds in plenty of extra travel time. The study’s Travel Time Index suggests that a 20 minute trip with light traffic will take closer to 27 minutes in rush hour. The study’s Planning Time Index recommends adding a whopping 50 extra minutes of travel time to a trip that usually takes 20 minutes. How can traffic congestion be eased? The Urban Mobility Study says traffic planners must better manage the system. Commuters should be given more options, and road lanes, train tracks and bus routes should increase capacity. The study says commuters and employers should examine the potential of flexible work schedules and telecommuting. It also says land use patterns should change so people can live, work and play in places closer together.